From now until Christmas I will be posting some of my favourite products and ideas for gift giving! This one is pretty cool: Have a friend or relative who dabbles in mixology? Someone who loves mixing cocktails? 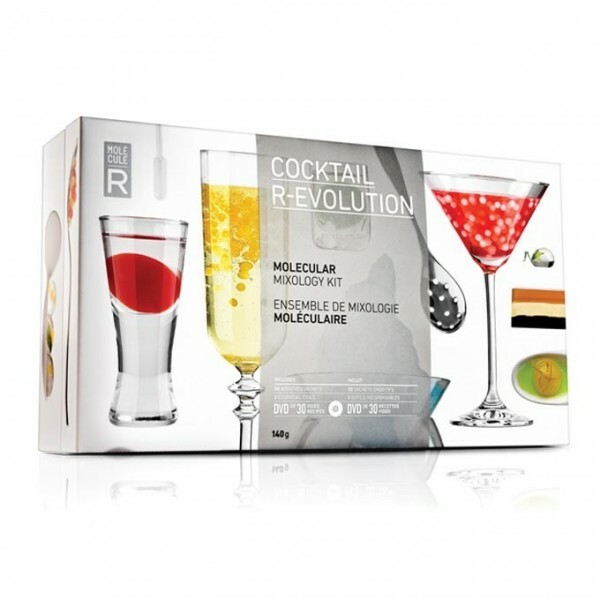 Meet MOLECULE-R‘s mixology kits. MOLECULE-R Flavors is a Montreal-based company founded in 2009 by two young gourmet entrepreneurs hungry for culinary innovations. The company aims to make a wide range of products and applications taken from molecular gastronomy accessible to amateur and professional cooks. This innovating kits will make a pro out of any mixing novice. They will learn how to deconstruct cocktails and serve mojitos in a large bubble that will explode in your mouth, bite into a layered martini or add a touch of airy lime foam to tequila shots! This “do it yourself” molecular mixology kit allows them to recreate the atmosphere of the most trendy and modern lounges in the comfort of their own home!